Bria Teams | Team Messaging, Calling, Screen Share + More! Bria Teams combines the feature richness of CounterPath’s award-winning softphone client suite and platform agnostic solutions for an optimal user experience. Send one-to-one messages or start a group chat with your team to stay connected from across the room or across the globe. Reach contacts quickly and reduce email chains. View conversation history all in one window. Enriched team chat sessions with colorful emoji. 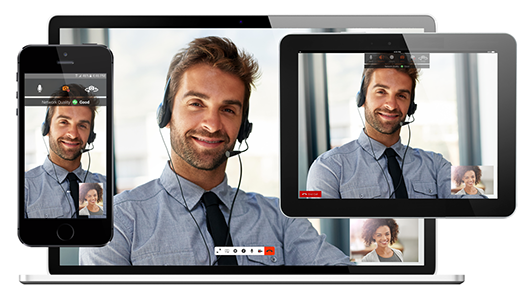 Make and receive superior quality voice and video conference calls from any device using a call server or VoIP service provider of your choice. Voice and video experience supported by a great selection of video codecs. Reduce costs by making long distance calls over IP, Wi-Fi or mobile data. Supports standards-based signaling and media encryption. Share your desktop screen with anyone on any device with no additional downloads or plug-ins required from participants. Visually engage the audience. No extra steps needed, no technology barriers. Built in encryption to protect the privacy and security of information shared. 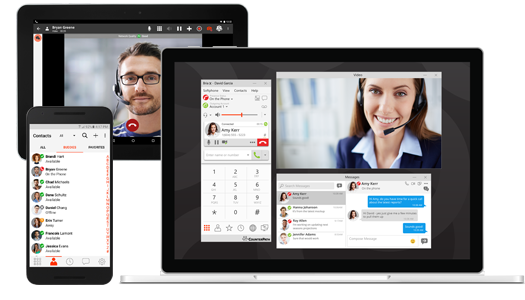 User-friendly, cost-effective and powerful collaboration tool. 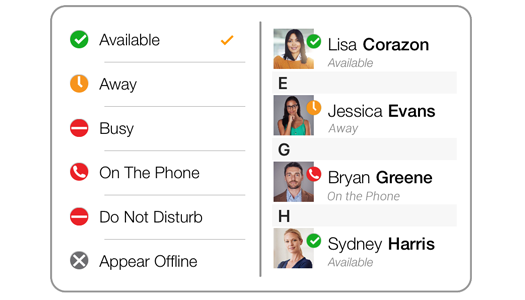 See who's online and their availability to get in touch with contacts quickly and efficiently. Increase productivity by easily detecting the best way to reach a contact. Reduce communication delays and access a shared contact list of users visible across the company. Customize a presence status or select from a list of status indicators, including Available, Busy, Away, On the Phone, and more. 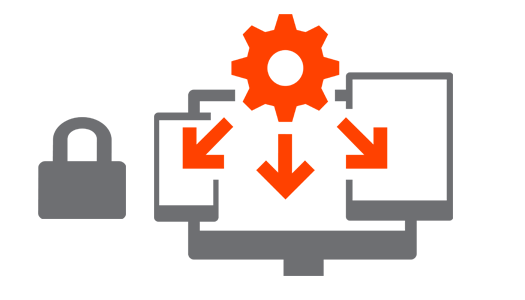 Provision and manage users from the cloud so that they can work on the go, in the office or from home. 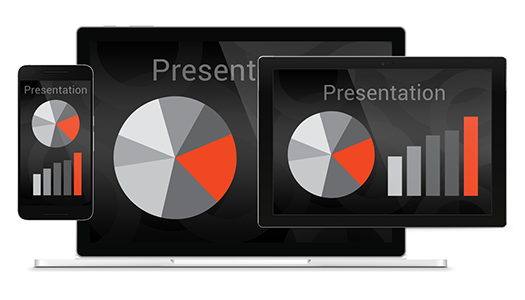 Use Bria Teams on up to 3 devices on Windows, Mac, iOS and Android platforms. Increase accessibility to improve communication. Maintain flow of conversations - switch from chatting on desktop to mobile. Communicate by choosing the device that makes the most sense.